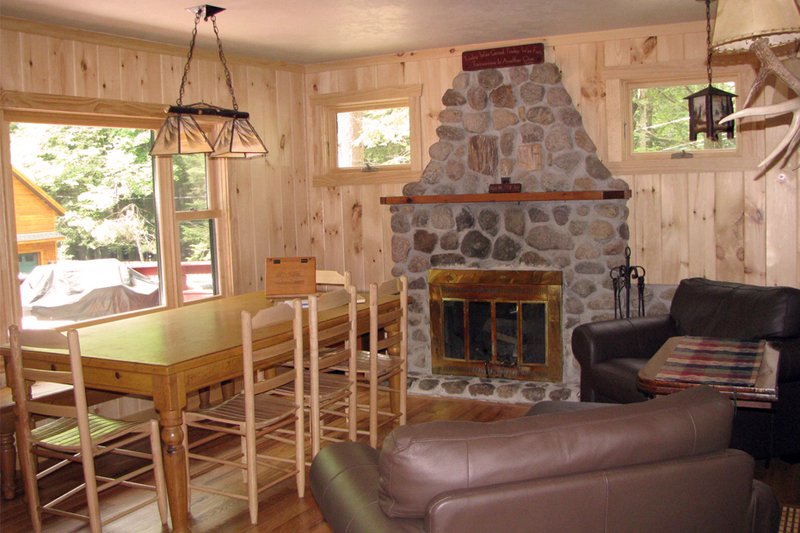 Evergreen Lodge is our private lakefront home, ideal for larger family gatherings. 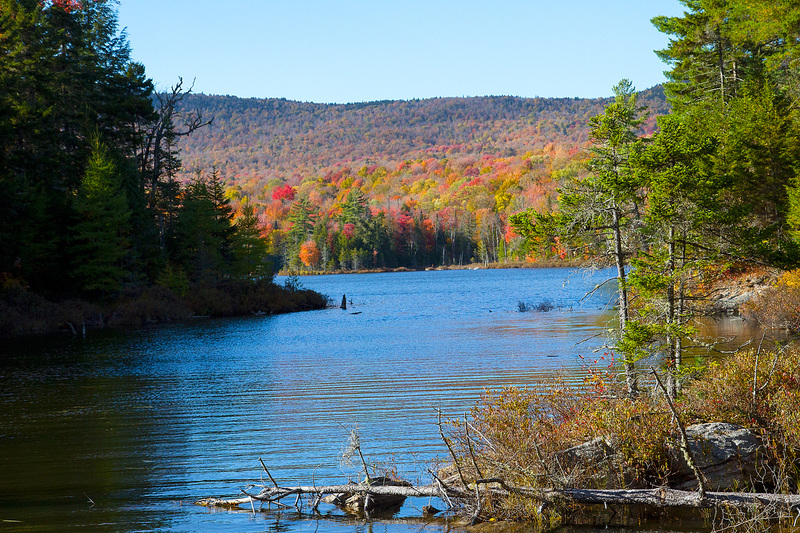 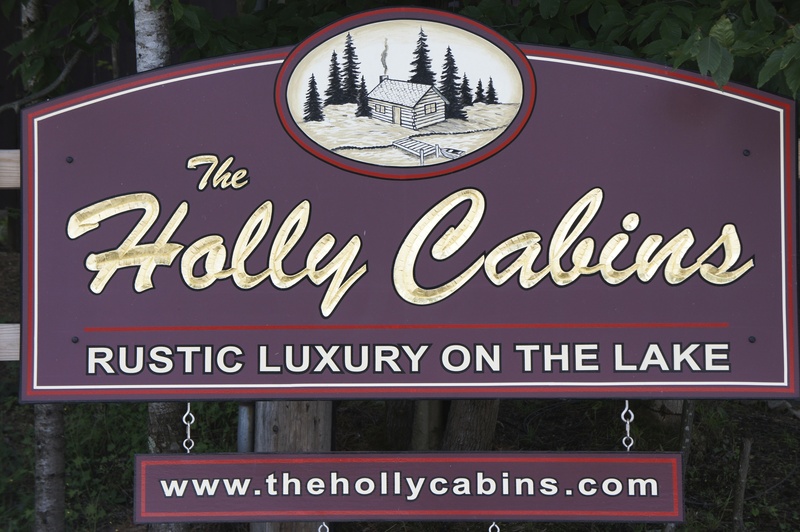 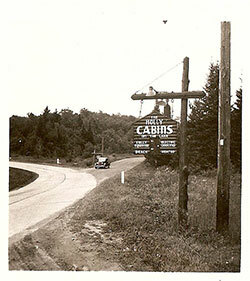 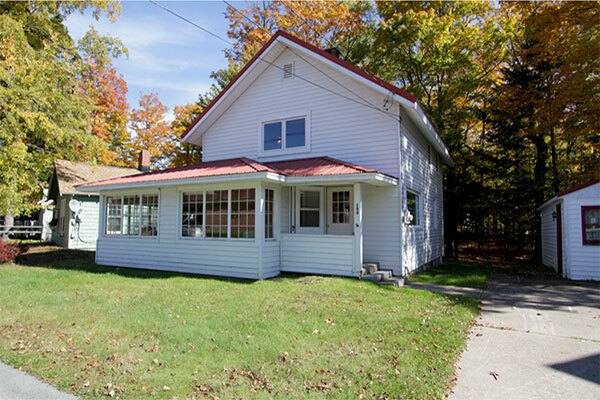 Conveniently located on the Fulton Chain of Lakes just north of Old Forge. 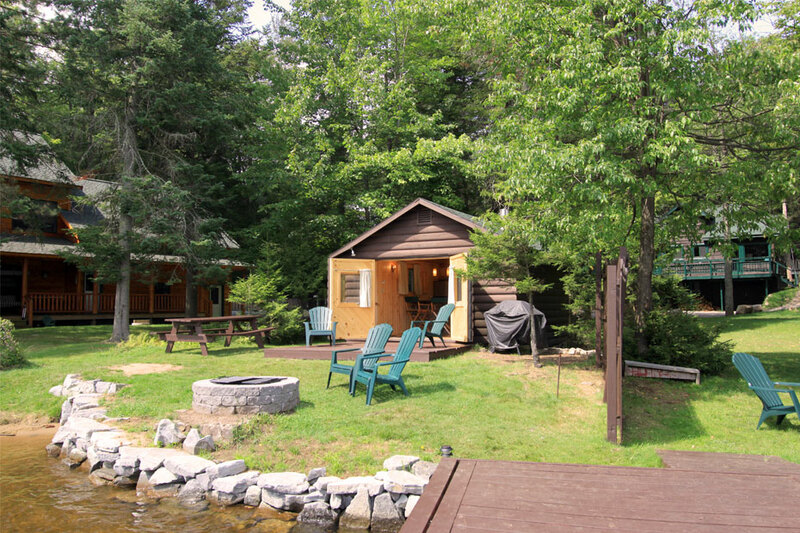 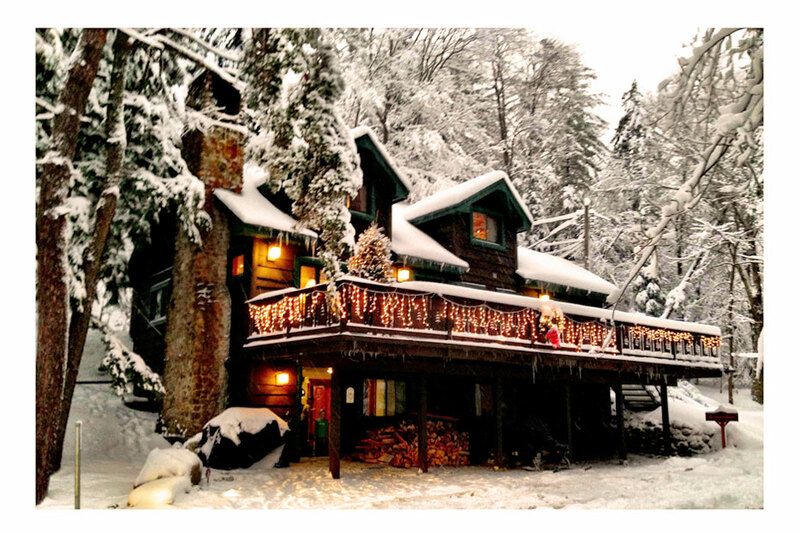 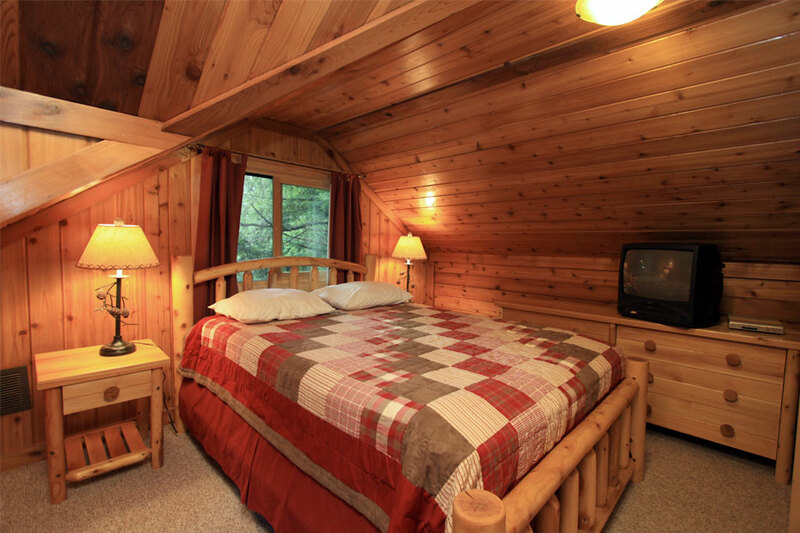 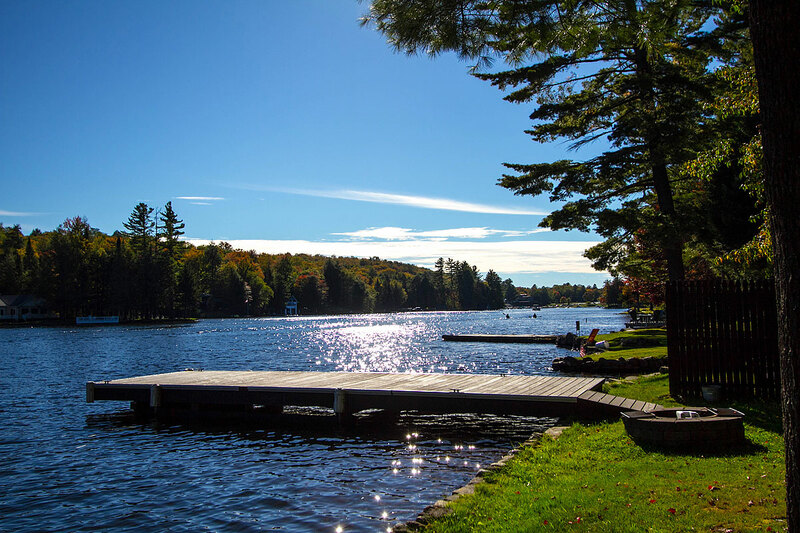 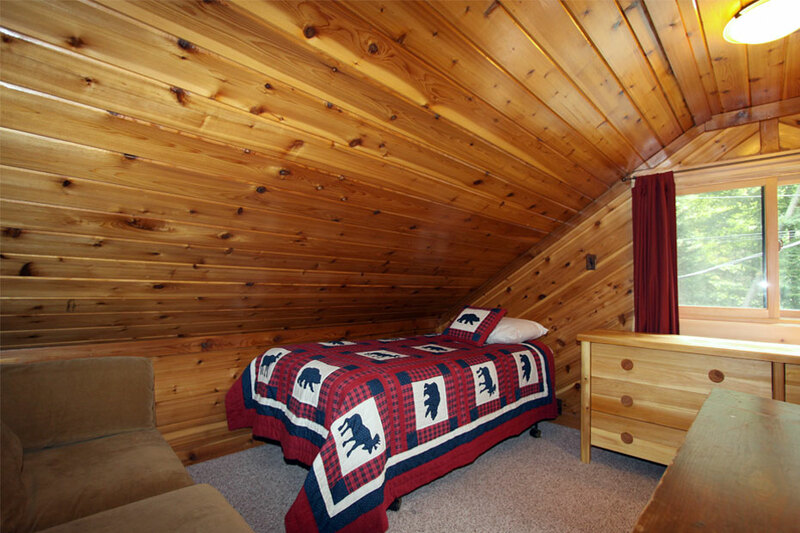 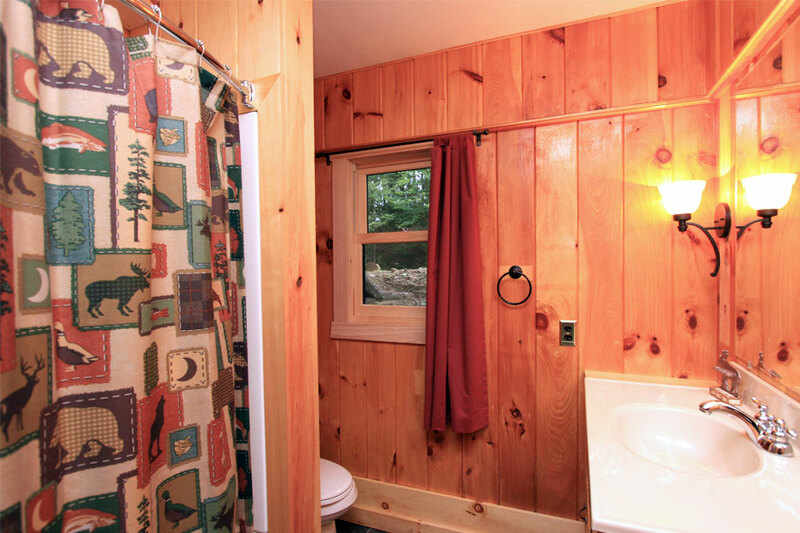 Evergreen Lodge warmly offers you Rustic Luxury by the Lake. 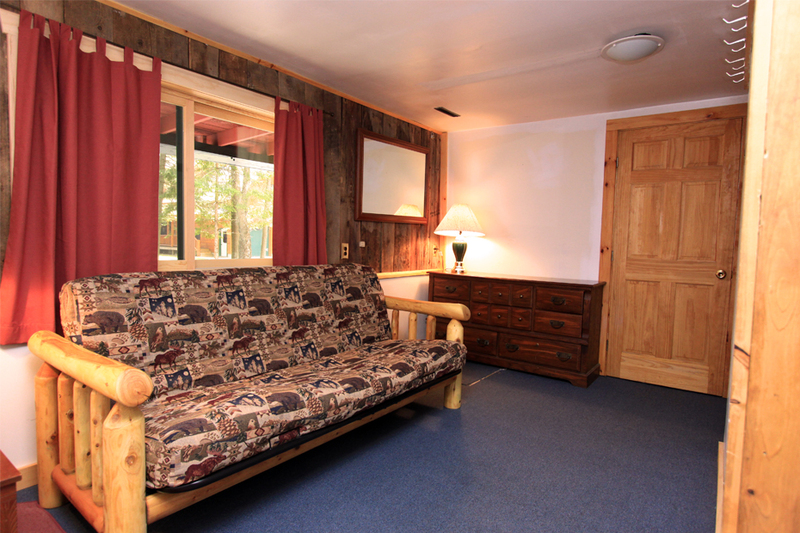 Sleeps 8 in beds and 6 in futons and 2 in sectional bed. 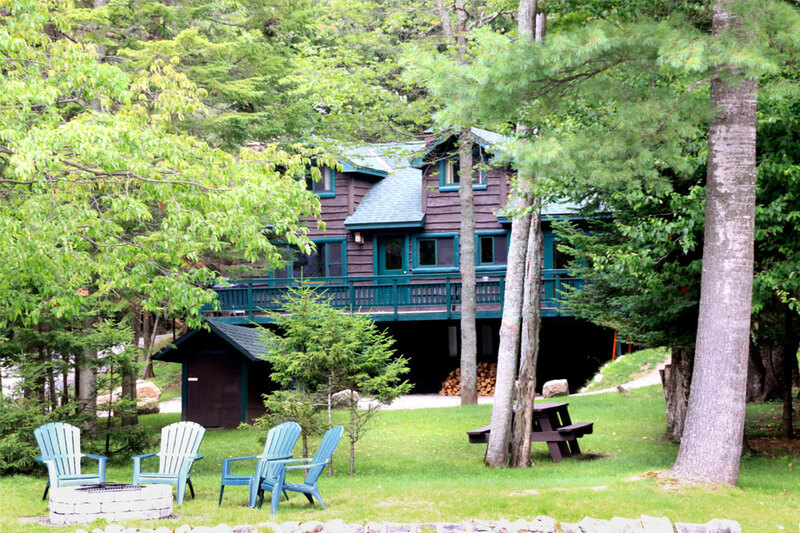 Sleeps 16 in summer, 14 in fall, winter, and spring. 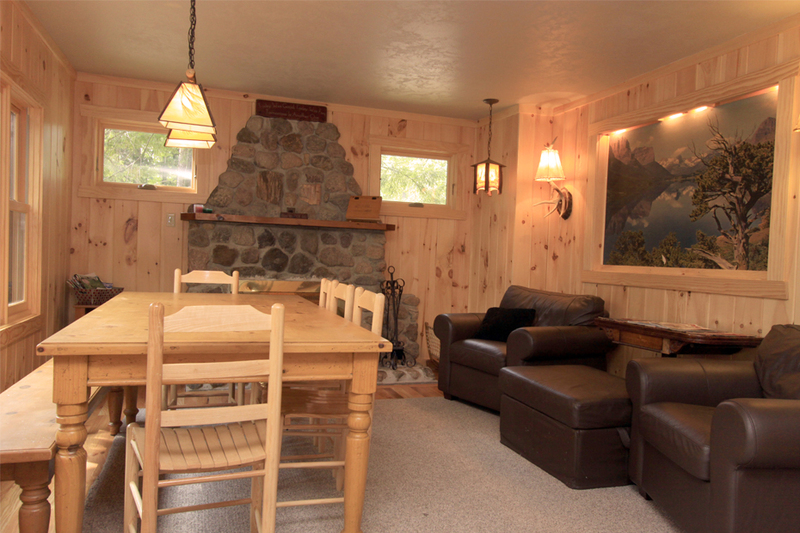 Ideal for family reunions or larger gatherings. 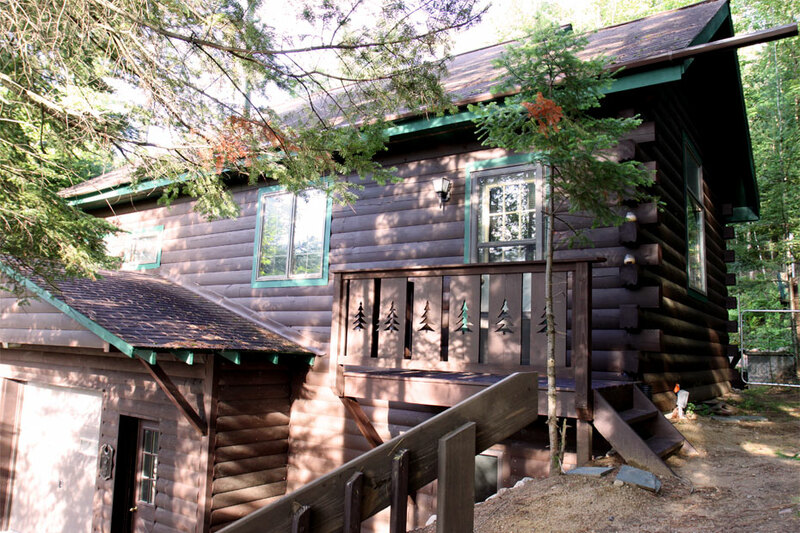 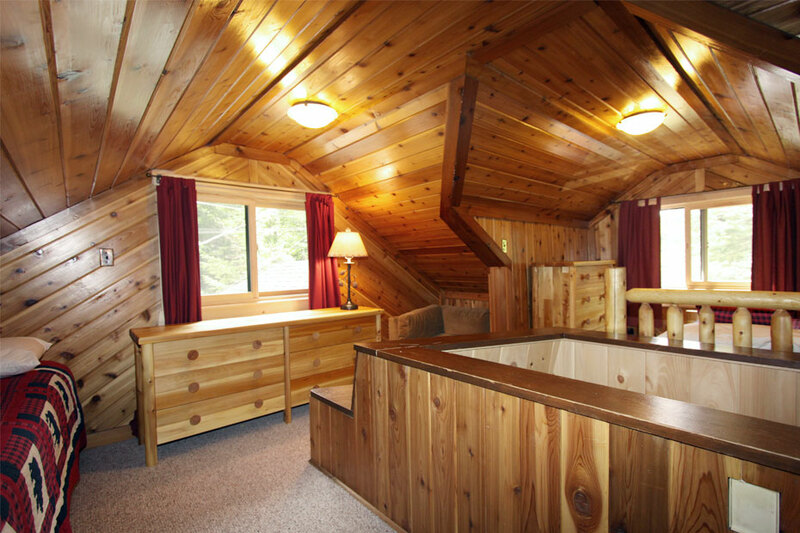 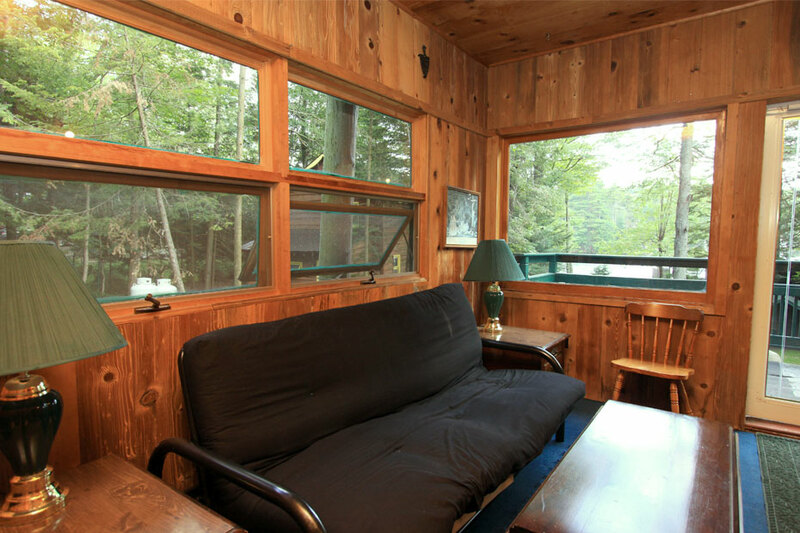 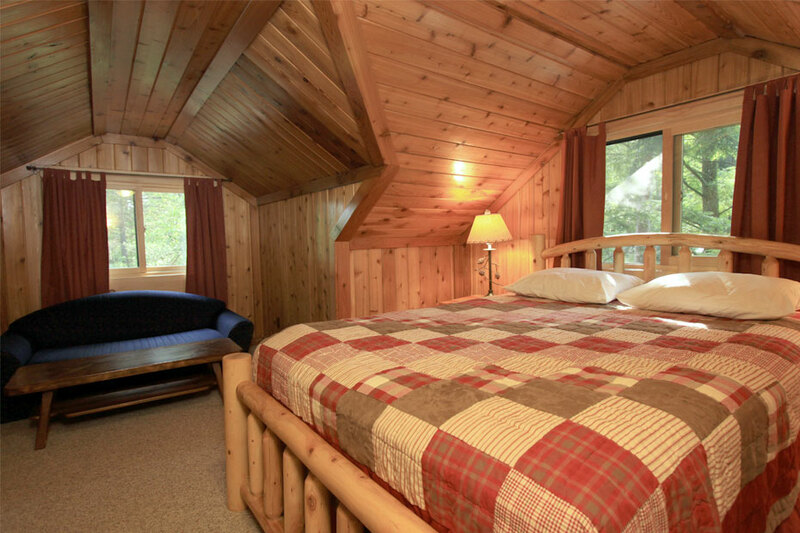 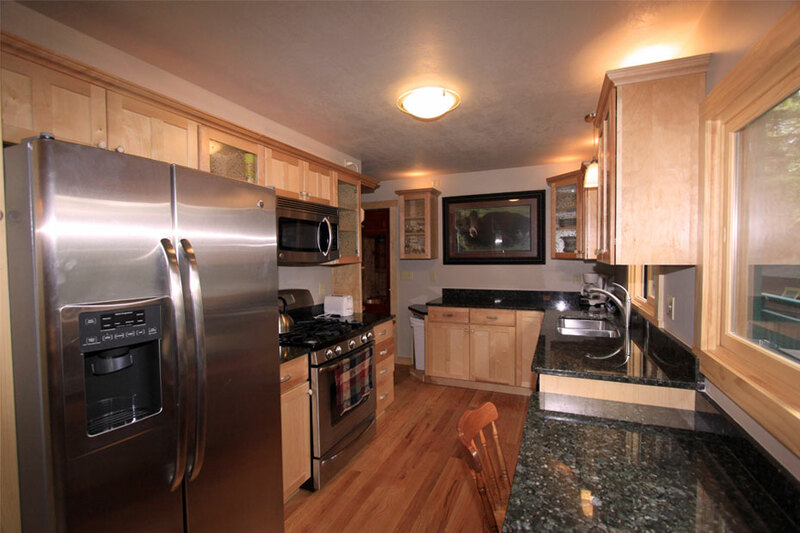 The property offers a separate log cabin “Tamarack Cottage” that sleeps 2 which may be reserved together with the home. 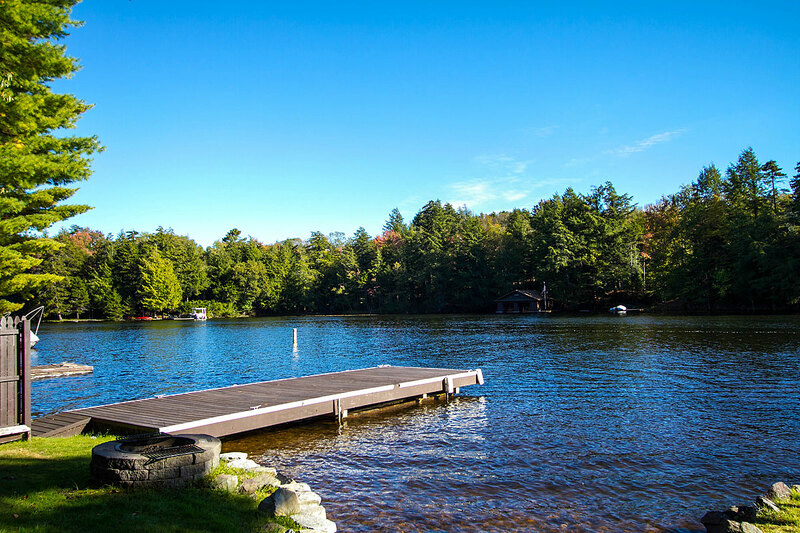 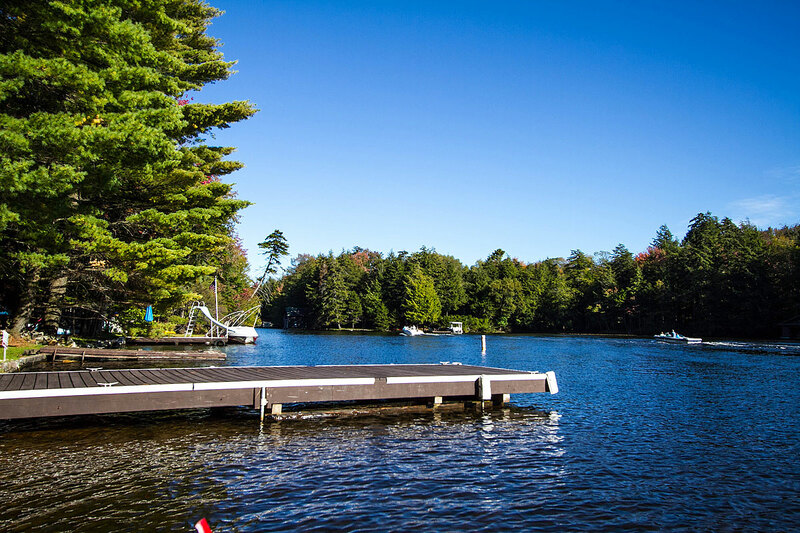 Swim, boat or fish from your own private dock and beach. 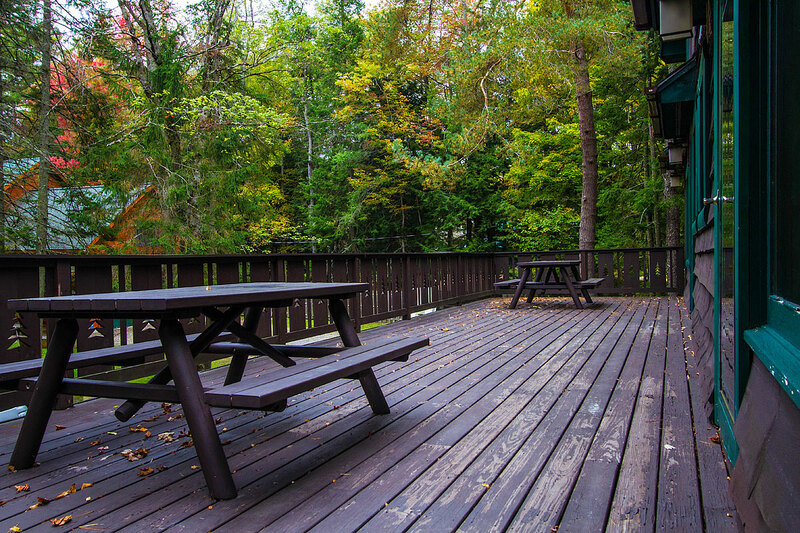 Large yard is ideal for enjoying outdoor group activities. 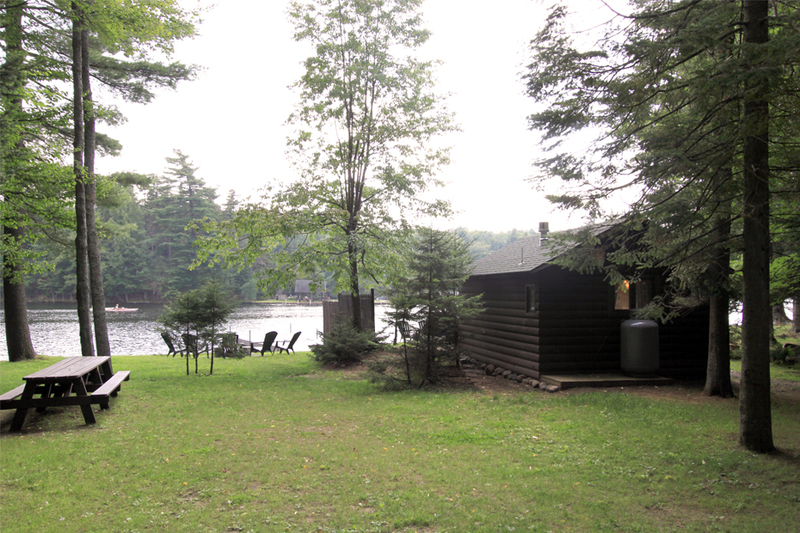 Fire pit by the lake perfect for campfire songs and roasting marshmallows. 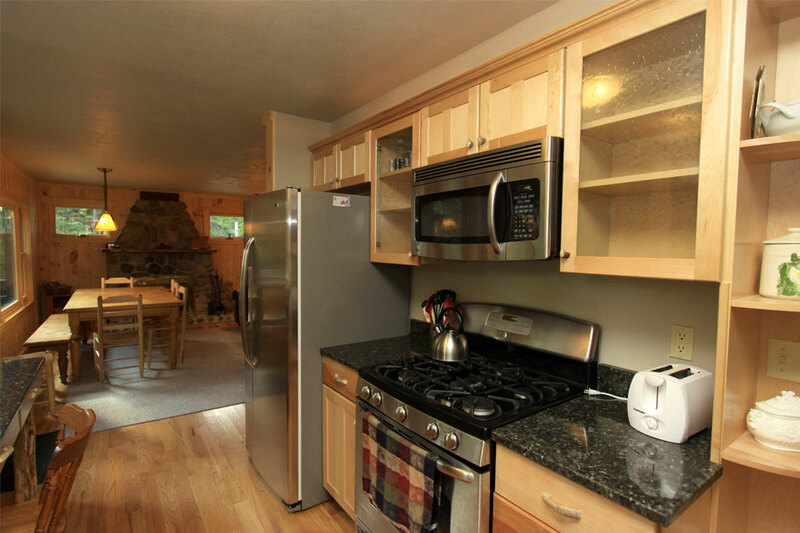 The Main Floor boasts beautiful knotty pine walls, hardwood floors, fully equipped kitchen with granite counter tops and stainless steel appliances, breakfast bar, dining room with rock fireplace. 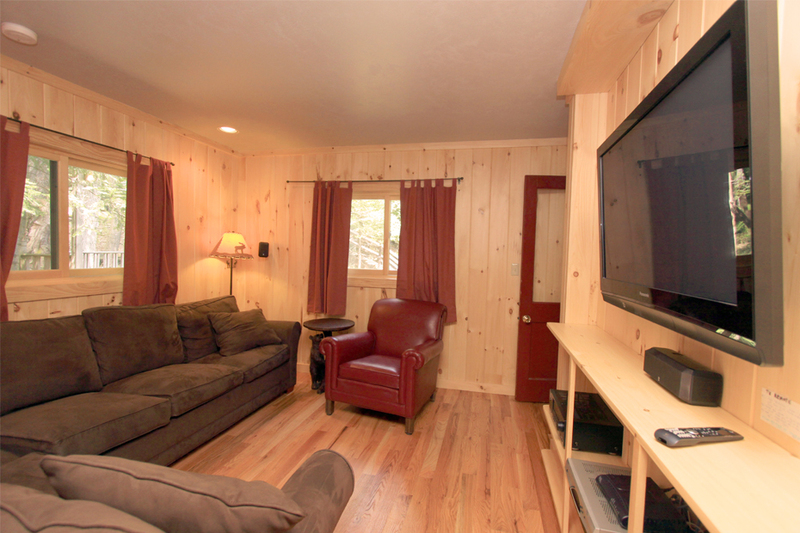 Media room with 42″ flat screen TV, DVD/stereo, i-pod connection, surround sound and pull-out double sleeper sectional sofa. 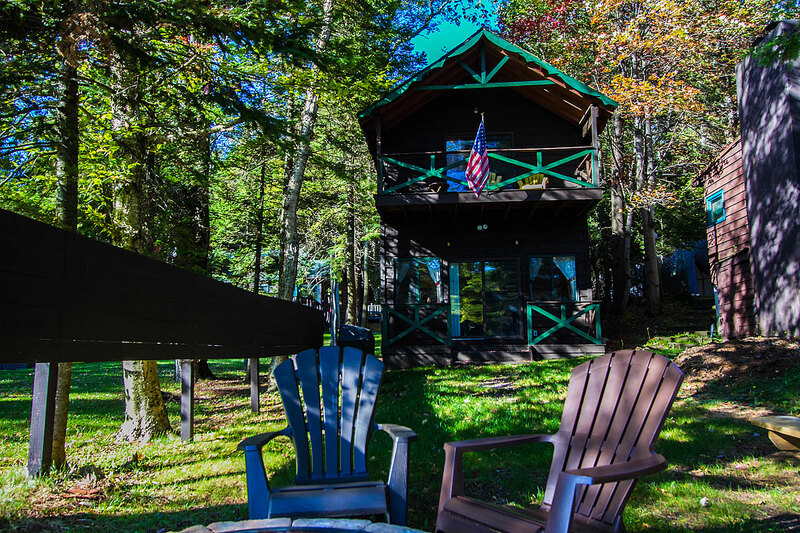 A very large, full length, south facing deck with gas BBQ grill and picnic table, allows for relaxing while you observe sunrise, sunset, wildlife and lake activities. 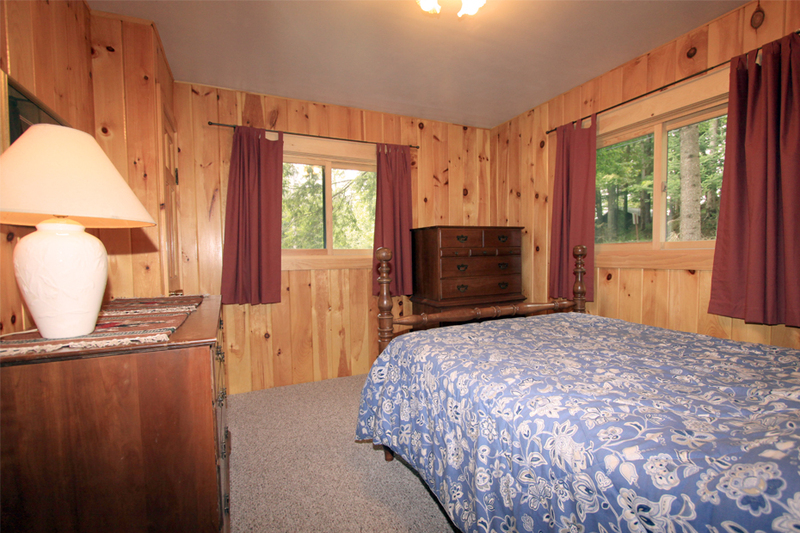 Upstairs has 1 bedroom with queen bed, 1 bedroom with 2 twin beds and 1 bath. 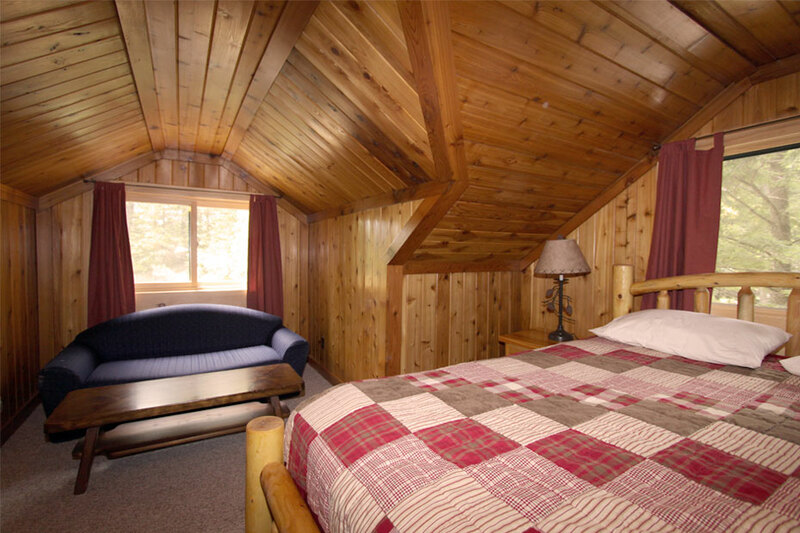 Lower level has 1 bedroom with queen bed, 1 bath, an open sitting area with 2 double futons, a modern laundry room with High Efficiency, (HE) front loading pedestal washer/dryer and plenty of storage room for hanging and storing snowmobile suits, helmets, ski equipment and outdoor gear. 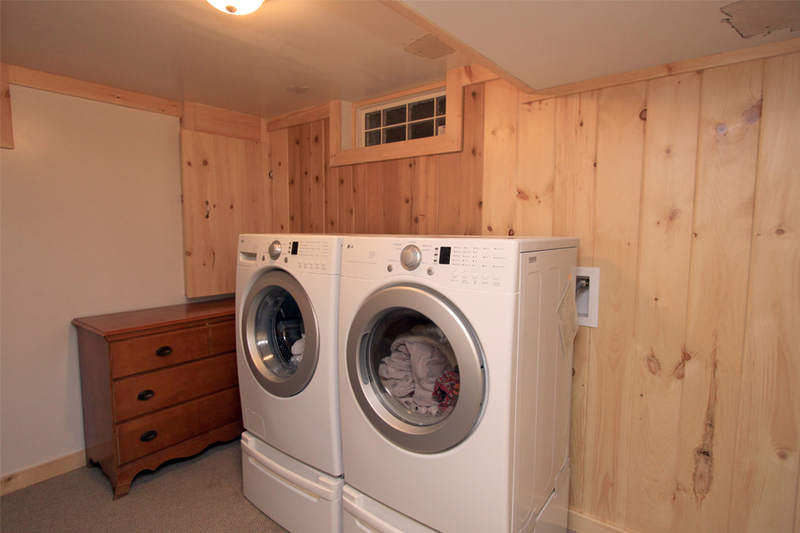 Additional storage area on the lower level for bikes, canoes, snowmobiles and other equipment.